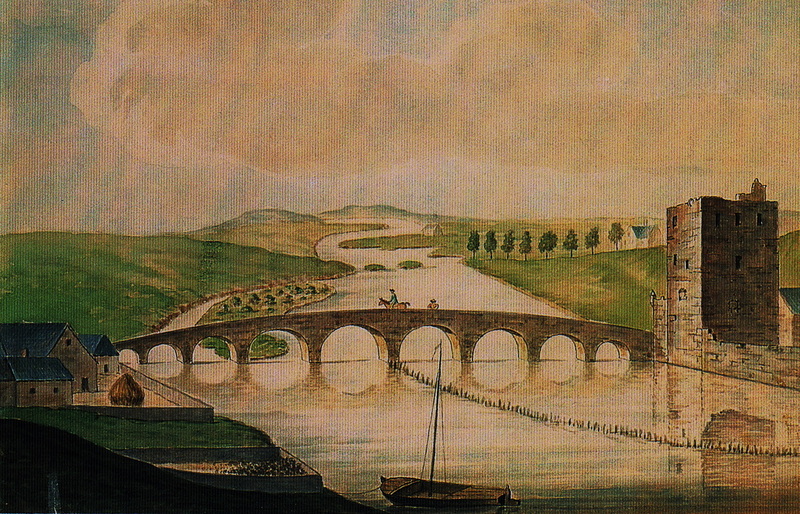 With the prospect of several toll roads looming for Irish motorists over the next decade, Carlow people can take some small crumb of comfort from the fact that their ancestors experienced this country's first ever toll bridge, operated at Leighlinbridge. In 1335, the bridge at Leighlin was the only crossing over the Barrow and the ruling Kavanagh Clan, in occupation of the nearby Black Castle, forced the British Crown to pay what was known as a 'black rent' in order to keep the bridge open. 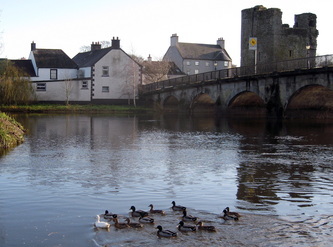 During the period between the Norman invasion and the reign of King Henry VIII, Co. Carlow was, from a military point of view, one of the most important counties in Ireland. Through it lay the main route from the English settlements in Munster to the seat of power in Dublin and the bridge was a vital link on that route. Maurice Jakis, Canon of Kildare Cathedral, was responsible for the building of the first bridge in Leighlin. 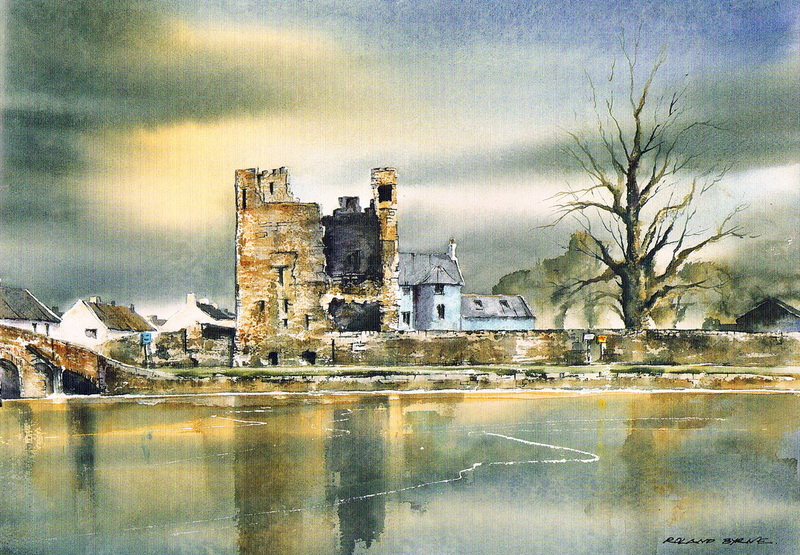 A Carmelite Friary was built close to the Black Castle in 1272 and in 1378 the Order was granted a pension by the Crown to defend the bridge, and this was confirmed personally by King Richard II when he passed through Leighlinbridge in 1394. He had arrived in Waterford with an army of 40,000 men in an attempt to subdue the Leinster clans, including the warring Kavanaghs but a treaty signed at Ballygorey in the parish of Tullow in 1395, was short lived. "Hardly, however, had the King [Richard] departed from Ireland, when the Irish threw away the mask of humility and assumed as bold a tone of independence as if none of the late arrangements had been effected." At that time Art Oge Kavanagh was King of Leinster and from his base in Garryhill, he dominated Carlow, Wicklow, Kildare and Wexford. 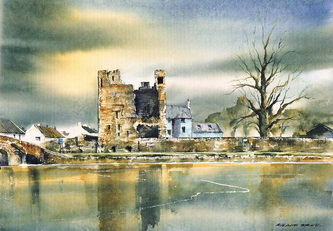 The clan lost control of the Black Castle to the Butlers in 1435, and their traditional dominance was further eroded in 1543 when Cahir McArt Kavanagh signed away extensive property during the reign of King Henry VIII.